By request, more country comedy from the virtuoso guitar/mandolin duo! 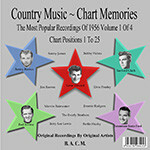 Tracks 1 - 25 of the most popular original recordings of 1959, by the original artists. 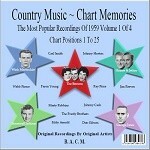 The Chart Memories Collection is a limited edition, mini-series created to appeal to all country music collectors. More comedy and virtuoso musicianship from this talented comedy duo Henry D. Haynes ("Homer") on guitar and Kenneth C. Burns ("Jethro") on mandolin. Here some parodies of country and popular songs - also enjoyable for the instrumental riffs - both were accomplished jazz musicians with a great admiration for gypsy guitarist Django Reinhardt. More country music mayhem from these talented musicians. 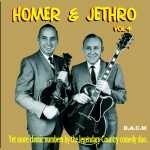 The 25 songs here all were recorded in 1947 and feature the superb playing of Homer (guitar) and Jethro (mandolin) whilst they parody a wide variety of country and popular songs. 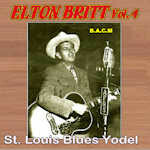 The humor is corny and somewhat dated but the recordings are well worth a listen for the brilliant instrumental riffs.